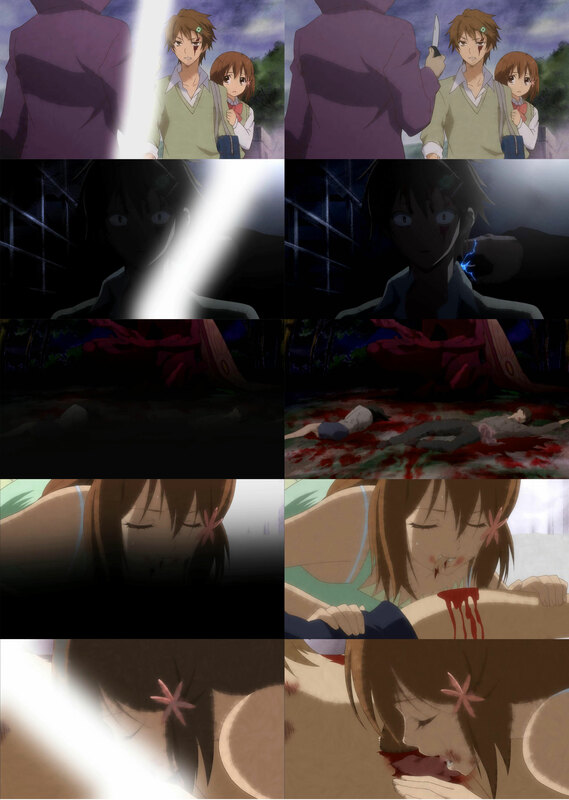 We have a new set of comparison images for another somewhat controversial anime, but this time its not for the best reason. The anime Pupa, based on the manga by Sayaka Mogi, has had many complaints in the regards to the adaptation done by Studio Deen, mostly regarding the series’ length. Another point was that the horror anime was censored when it aired on TV, and now that the blu-rays are coming out we can see the anime in its full glory – since they are not censored. And as such, a comparison between the televised and blu-ray versions of the anime Pupa is in order. So how much is censored on TV? Quite a lot apparently. 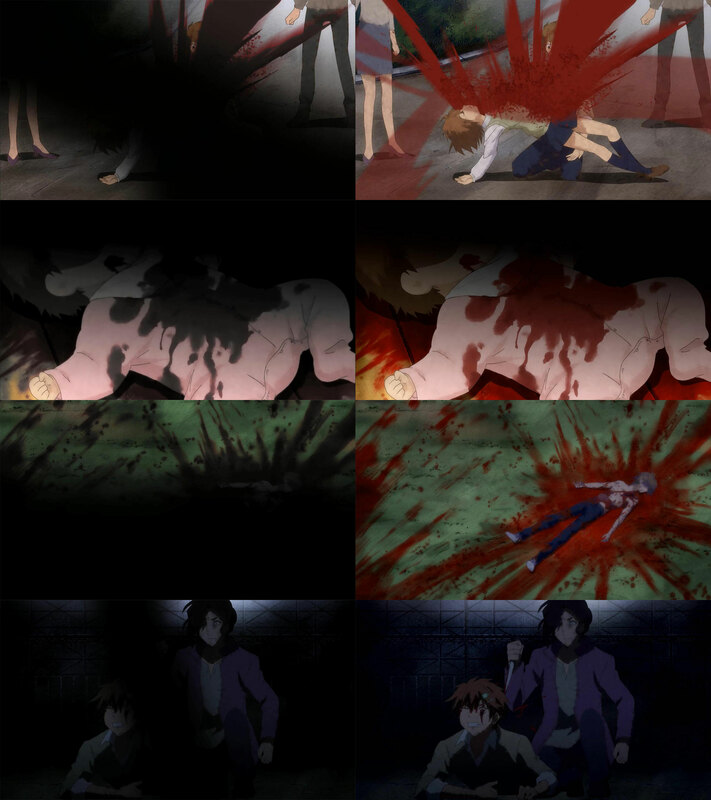 The images on the left are the uncensored from the blu-rays and the right are the censored televised version. Click on the images for their full resolution. Pupa is a manga created by Sayaka Mogi in 2011. The manga ran from March that year to December 2013, for a total of 5 volumes. The series ran in the Comic Earth Star magazine, published by Earth Star Entertainment. The manga received an anime adaptation during the Winter 2013/2014 season from Studio Deen. The “life-and-death sibling” story follows Utsutsu and Yume Hasegawa, a boy and his little sister who find themselves all alone. One day, Yume sees a mysterious red butterfly and her body undergoes a strange metamorphosis—into a creature that eats humans. Utsutsu struggles to find a way to restore his sister. The uncensored Pupa blu-rays are currently available for sale on Amazon Japan. It costs ¥4,949 (~ $49.49 USD) and includes all the episodes uncensored, and a few little extras.